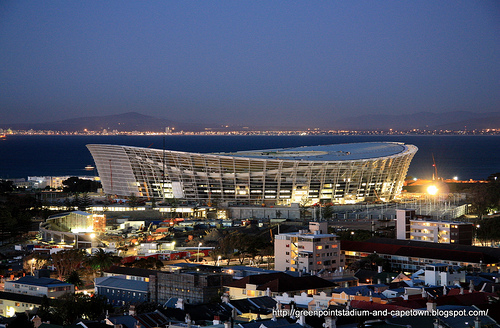 Green Point Stadium, one of the 2010 World Cup venues in South Africa, is almost complete. Photo taken September 29, 2009. Photo credit: Joanne/CapeTownFIFAWORL DCUP2010 on Flickr, via the Pitch Invasion Photo Pool. Greenpoint Stadium is such a huge thing. Almost 70 00 people will fit in it. I really hope the championship will be nice as south-africa needs some more tourism.